Due to expected rain this weekend, the 2019 Lunar New Year Celebration at Santa Monica Place has been rescheduled from February 2 to February 16. 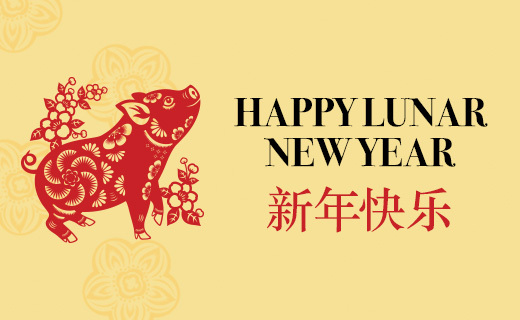 Santa Monica Place commemorates the Year of the Pig with its annual Lunar New Year celebration on Saturday, February 2, 2019, from 2 – 6 p.m. Hosted by comedian Paul “PK” Kim, celebrations will include authentic cultural performances and activities such as the traditional Chinese lion dance, Korean fan dance, stilt walkers, traditional dough artist, balloon twister, classical folk music from a Chinese musical duo, New Year’s Wishing Trees and family-friendly arts and crafts for all to enjoy. New this year is the addition of popular K-pop dance group, First Bite. **Santa Monica Place is located at 395 Santa Monica Place, Santa Monica, at Broadway and Third Street Promenade. The event will be held on level one in Center Plaza. Located steps away from the Pacific Ocean in Downtown Santa Monica and adjacent to Third Street Promenade, the unique, all-outdoor Santa Monica Place is home to Bloomingdale’s, Nordstrom, Louis Vuitton, Tiffany & Co., Tory Burch, Hugo Boss, BARNEYS NEW YORK, Nike, dozens more shops and an inspired collection of restaurants and entertainment experiences including True Food Kitchen, The Cheesecake Factory, Sonoma Wine Garden, ArcLight Cinemas and more. Santa Monica Place also is home to a growing set of engaging, digitally native brands, such as b8ta, Ministry of Supply, Monica + Andy, Peloton and others.